On this week’s Edge, how to improve our dismal voter turnout rate, what’s missing in the police union’s contract with the city, the long history of gentrification and displacement, and how the whole community benefits when a kid gets an immunization shot. 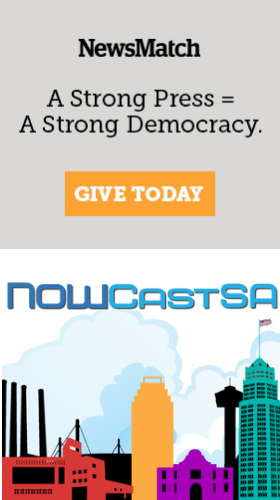 This edition of the Edge is sponsored in part by NOWCastSA nonprofit member Friends of Communities in Schools San Antonio. To learn more about sponsorship, click here. Last week Texas agreed to soften its voter ID laws, in response to a federal appeals court ruling that said Texas’ 2011 voter identification law was discriminatory and discouraged minority voters. In recent years, even with 80 percent of those eligible registered to vote, just 12 percent actually came out to cast a ballot. What else can be done to encourage people to get out to the polls and vote? Councilman Ron Nirenberg says moving local elections to November would make a big difference. See the story here. The bargaining agreement between the police union city of San Antonio looks headed toward the finish line. 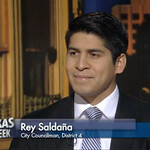 Watch video from KLRN’s Texas Week with Rick Casey to hear why Councilman Rey Saldaña isn’t ready to sign off on the deal. Watch the video from Texas Week with Rick Casey at this link. An 11,000-year timeline wrapped around the walls of the meeting room helped show how today’s events are deeply rooted in the past. Watch our video of the conversation to hear stories like this one from Irasema Cavazos, who described how two generations of her family (who were American citizens) were forced to leave the United States when her Grandfather was deported to Mexico during the Great Depression. See the full story and replay the videos here. It’s back-to-school time, and for many kids that means getting shots to immunize them from contagious diseases from measles and mumps to diphtheria and polio. Watch our conversation with Dr. Dennis Conrad, a pediatric immunization specialist with the University of Texas Health Science Center at San Antonio, and see how big the picture really is. Go to this link for the story and the 14-minute video conversation. Don’t forget you can find back-to-school events and shots on our Kiss Map -- Kids, Immunizations and School Supplies right here.